Karen attended Iowa State University and graduated with a Bachelors of Fine Arts in Graphic Design. Cru made such an impact on Karen’s life during school, she filled out her staff application, as a senior, at Winter Conference. 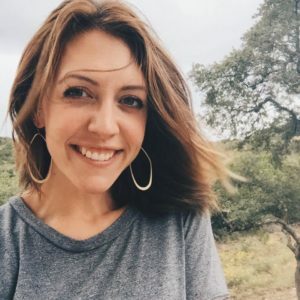 Exactly one year + one week later, she reported to her position in Indianapolis as a designer promoting the full-time evangelistic bands Cru sends out all over the world. Since then, the Cru ministry she joined with has morphed into what is now known as Research and Development (R&D). Seven years later, Karen still uses her graphic design skills but now has more opportunities, through R&D, to impact more people and in more ways for the Kingdom. Designing tools and resources that will better explain the gospel and spiritual principles is what Karen does, but the eternal impact God can do through her work is why she does what she does. There is never a dull moment working in an office with other wildly creative followers of Jesus! Karen hopes that Crossroads is not only a great professional development opportunity for students, but a rich summer saturated with the awareness of Christ’s nearness in everything— daily work, relationships, and interactions with the incredible city of Chicago. It’s her hope that every student leaves Crossroads with a greater sense of purpose! It’s also important to know that Karen is obsessed with her niece and nephew. Those little monsters have her wrapped around their pinkies. If she pulls out her phone to show you pictures, either smile and nod or RUN! Madi graduated from Ohio State with a Bachelor of Science in Business Administration degree. She specialized in Marketing because she enjoys the creative aspects of business strategy, innovation, and problem solving. She chose to also minor in design and has grown to really love the front end, design thinking process. In her undergrad experience, Cru at Ohio State became her home. Over those 4 years, she unpacked her bags and grew immensely in her faith. She decided to leave her internship in the corporate business world to go on Crossroads Summer Mission ’16. For the second half of the summer, she was the student director specializing in project management. That summer, she saw how creativity and ministry can come together to glorify God. That led her to decide to intern with Cru after graduation. 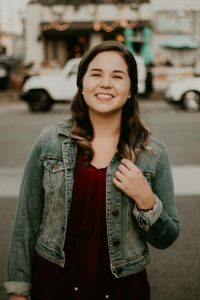 As an intern with Cru at Ohio State, Madi is a part of the creative team that plans and produces RealLife, the Cru weekly meeting on campus. Each week, she also has the opportunity to work with students who will be sharing their story live at the weekly meeting. She loves that she gets to be a part of empowering and encouraging students to be bold in sharing how God has and is working in their life. She also gets to help run all of Cru Ohio State’s social media accounts! Madi is passionate about pizza, color coordination, post-it notes, and having as much fun as possible creating for Our Creator. You can catch her reading mystery novels or working on learning hand lettering in her free time. She is excited to be back in the city that had such a significant impact on her story. Griff graduated from Purdue University with a Bachelor of Science in Management with a Marketing focus. He specifically studied this because his dream job since early high school was to direct a major Christian conference. During his time at Purdue, Cru had an incredible impact on Griff as he began walking with the Lord. He and his wife, Melissa, interned with Cru two years at Purdue and during this time, the Lord grew Griff’s heart specifically for international students. 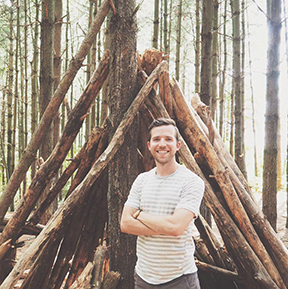 When he joined staff in 2014, Griff began working specifically with Bridges International so that his focus could be on helping international students come to know the Lord. At this time, he began directing the Vision Conference, Bridges’ annual winter conference. He has now directed the conference for 3 years and it is literally his dream job! Griff has recently joined a new team within Cru called the Conference & Events Strategy Team. On this team, he has the opportunity to help make decisions that affect all Cru conferences and to think critically about how we do events and how we can reach new audiences. Creating spaces where people have a chance to encounter the Lord is what Griff loves to do, from the first stages of the creative process, all the way to implementing an event. The Lord does amazing things through gatherings of people, and Griff sees creating these gatherings as his place within the Great Commission. This is Griff’s second time working with Crossroads (and his third time in Chicago) and he’s very excited to once again work with students to use their God-given talents for God’s glory. He’s also very excited to eat all of his favorite food in Chicago and experience the city once again. 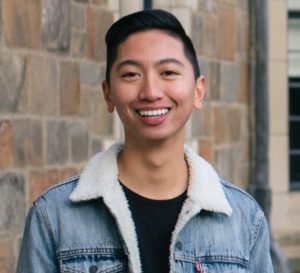 Joe graduated from the University of Michigan in 2017 with a degree in Linguistics, with minors in Business Administration and Filipino Studies. God used four years in Michigan Cru to completely transform Joe’s life and relationship with Jesus. Following semesters of leading Bible studies, discipling men, and serving in creative capacities, he was led to serve with Cru following graduation. 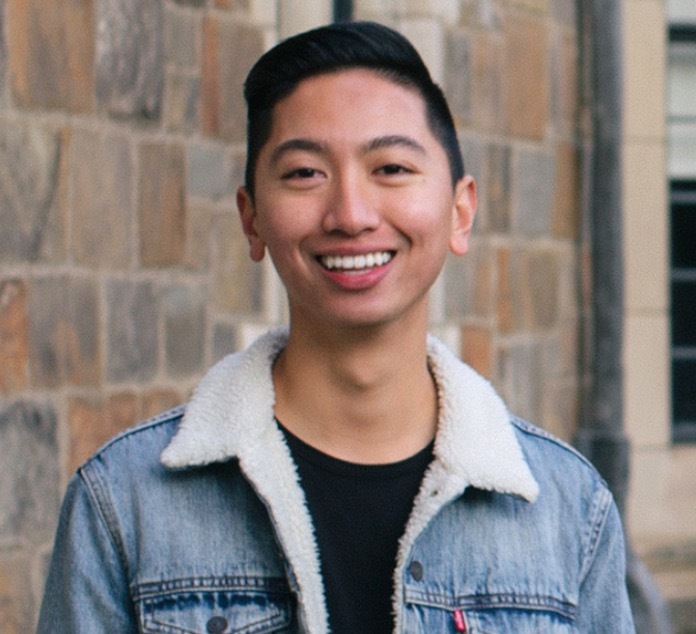 As an intern with Michigan Cru, Joe gets to direct the student team which dreams up and executes All Campus Gathering—Cru’s weekly meeting in the Michigan Union. He loves getting to flex a creative muscle in ministry, whether it’s through video production, graphic design, photography, hand lettering, or stage design. This is Joe’s third Summer Mission, and first time working with Crossroads. He is stoked to be in Chicago working with college students to forward the gospel. In August, he’ll move to Orlando to intern at Cru’s Global Headquarters. Joe is a second-generation Filipino-Canadian-American polyglot who bleeds maize & blue. He enjoys flat whites, traveling, etymologies, running, spicy food, and Saturday Night Live. This summer will be a great time for us to learn from one another and work on some influential projects. We look forward to sharing the creative landscape with you! You can apply for the Crossroads internship at cru.org/summer.